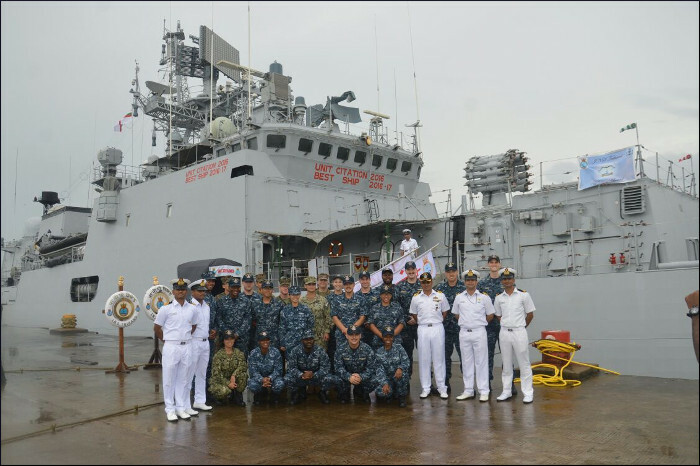 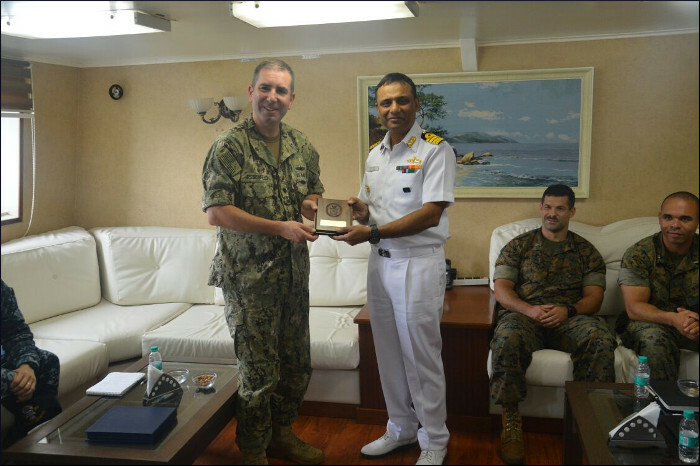 United States Navy amphibious dock landing ship USS Pearl Harbor visited Goa from 24 to 27 August 2017. As part of the harbour visit, professional and sporting activities, which included a visit by US naval personnel to INS Hansa and a friendly Basketball match, were conducted for the crew of the visiting ship. 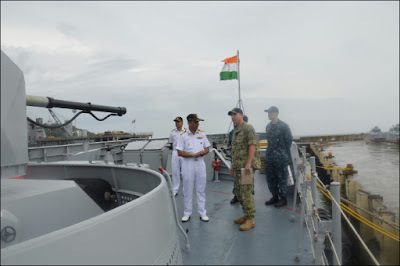 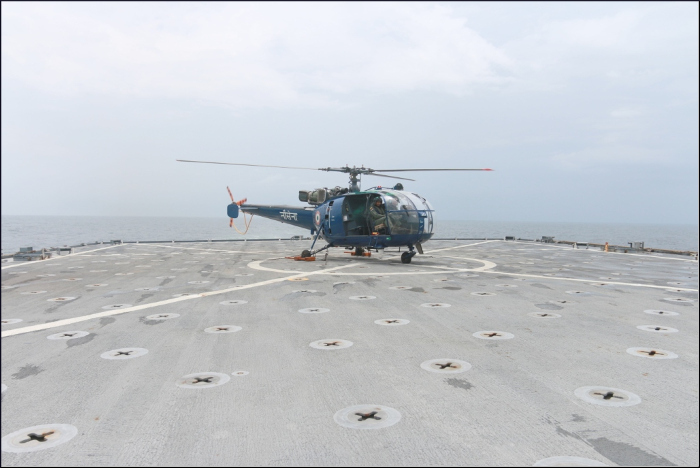 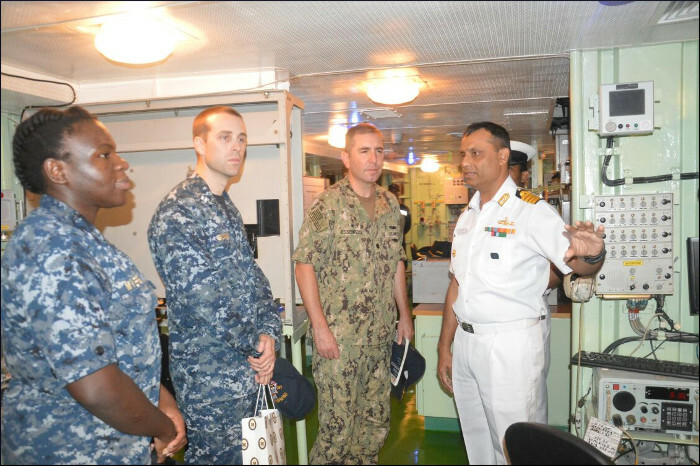 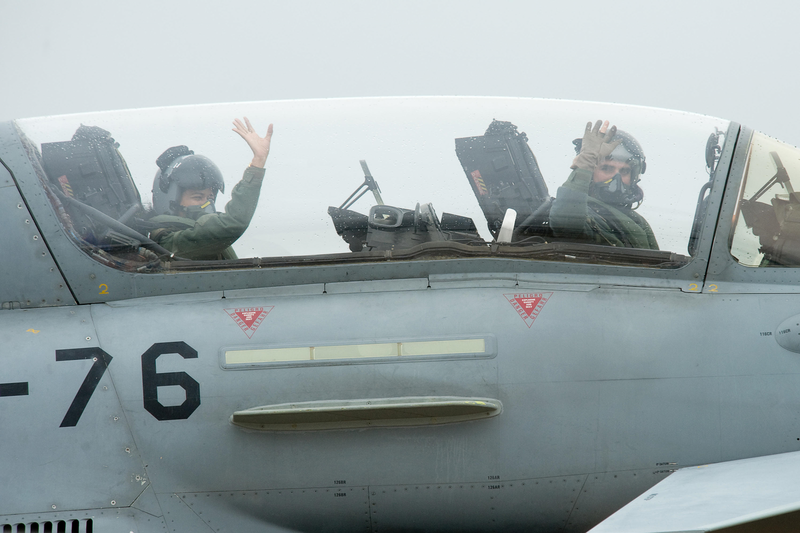 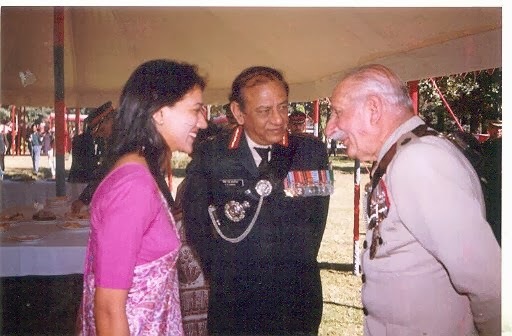 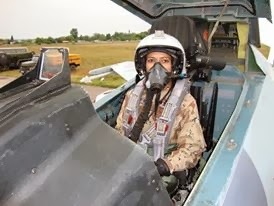 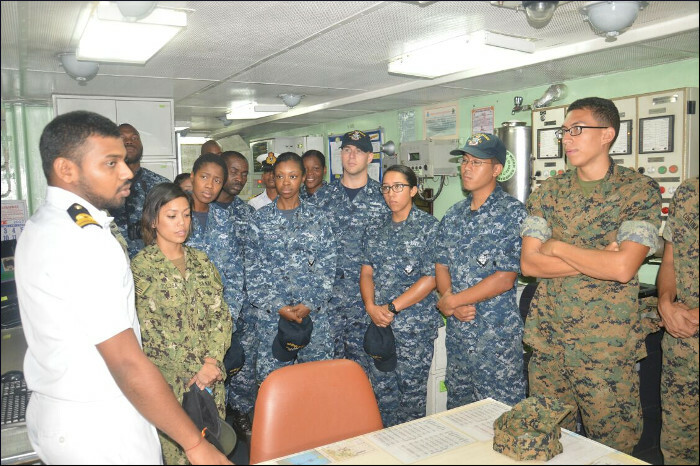 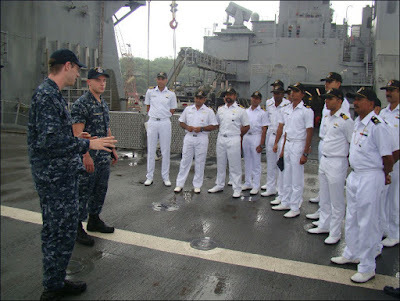 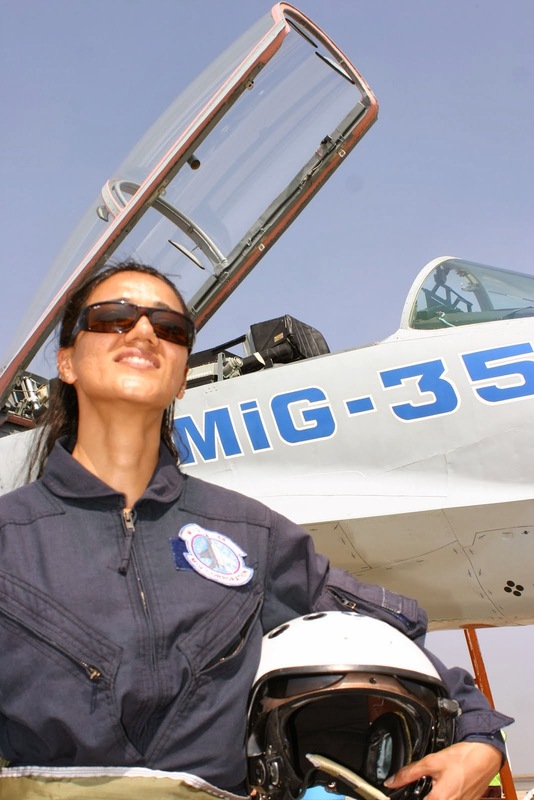 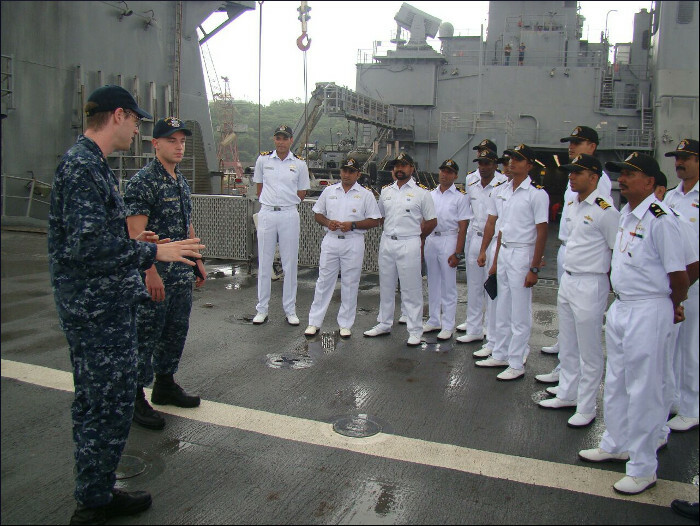 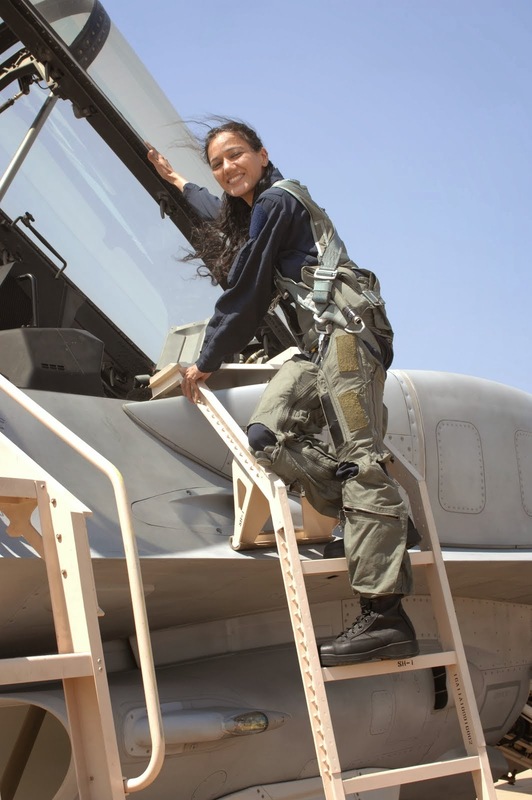 In addition, Indian Navy, Air Force and Army personnel visited USS Pearl Harbor and interacted with the crew. 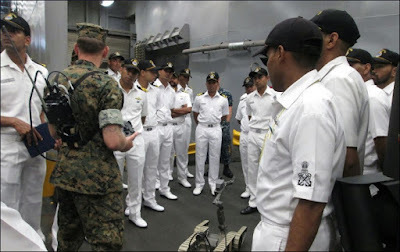 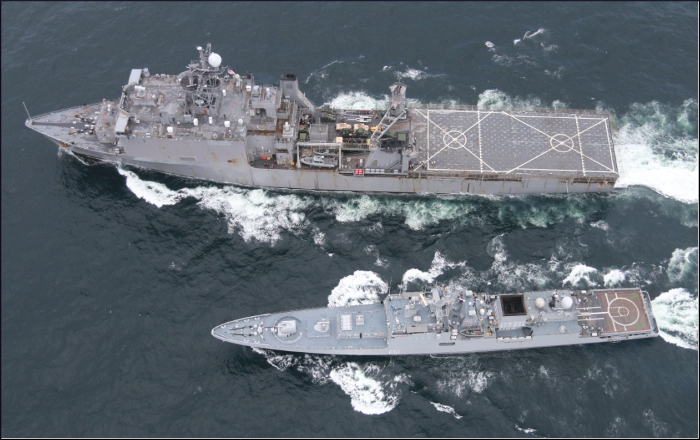 On departure, USS Pearl Harbor participated in a Passage Exercise with INS Trikand and carried out underway replenishment, cross deck landing by a Chetak helicopter onboard the US Ship, and close manoeuvres. 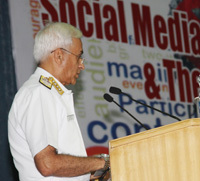 The Chairman Chiefs of Staff Committee and Chief of Naval Staff, Admiral Sunil Lanba addressing the Seminar on “Social Media & The Armed Forces”, in New Delhi on August 29, 2017.